The University of Florida/Volusia County Extension will present free classes to help potential homebuyers prepare to purchase a house. The classes, which include tips on improving credit scores, meet the education requirement for federal down payment and closing cost assistance programs available through state and local governments. The Extension is a HUD-approved housing counseling agency. The classes are provided at no charge to participants. Advance registration is required. To register, contact Patricia Caradonna at 386-822-5778 or pcaradonna@volusia.org. 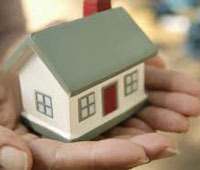 For more information, visit www.volusia.org/homebuyer.